Challenge/Background: Our School was contacted by a member of the public who wanted to 3D Print a project for their child. There was a delay in using the publicly available 3D Printers and as a favour they asked for our school to print the project and make it available. Task: In this instance the design was completed externally and our role was simply to print the design, as it had been designed and completed externally. Level of Difficulty: Minimum - as a print only. Issues: None - although in the picture there is a small nick in the front right of the base, this was caused by removal from the print after printing. Size: 25cm in height, 8cm in width, depth varies according to the design but up to 10cm at the base. 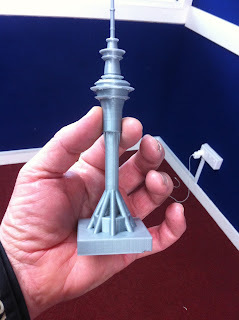 Process: To increase the quality of the print Innofil 3D Print filament was used. The was designed from an external source so the code was emailed to us. As a result the design process differed from the regular designs on this site - as it had been created in AutoCad. Reflection: This was an approach from an external source and it something that would probably not be repeated again, it was a favour to someone who asked rather than an original creation from the students at our school. Challenge: To re-create a design from a Google drawing created by another student as closely as possible to resemble the original design. Background: A student at another New Zealand school had designed a logo for the 'International Friendship Day' project. The school did not have resourcing for 3D Printing so we took the original student design and gave a brief to two of our students to create a 3D version of the design which we then subsequently printed and sent to the student who had designed the original. Task: As the original design was created in Google Draw it was felt that this should translate well to Tinkercad and some of the shapes that were available from the main screen would be able to reproduce the original design. 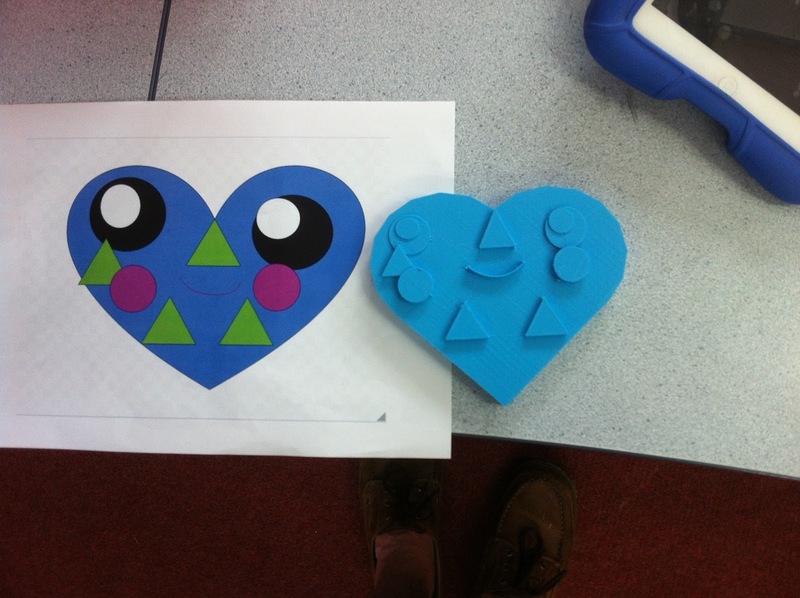 Level of Difficulty: Easy students were able to reproduce it accurately within a ten minute timeframe as all of the featured shapes were directly created from the Tinkercad dashboard. The only issue was that some of the shapes were not specific to the relative size in the original and perhaps they could have been more reflective of the original design. Issues: None - an older filament was used and the machine is in need of a service, there has been a minor issue with some of the filament on the raised surfaces but this is minor and not related to the design of the print. Size: 20cm by 15cm with a depth of 1cm. Process: The original in this case was designed by a student in Google Draw. The teacher was emailed the original design which was then copied and printed off so the students had the original to work with, as with most every other design on this site they used Tinkercad (beta) to complete the project which was then converted to Cura for Ultimaker 2 3D Printing. Reflection: Students were able to mimic the design and it was a way to allow them to refine some of their skills. Producing something for another school added to the novelty value of the project.